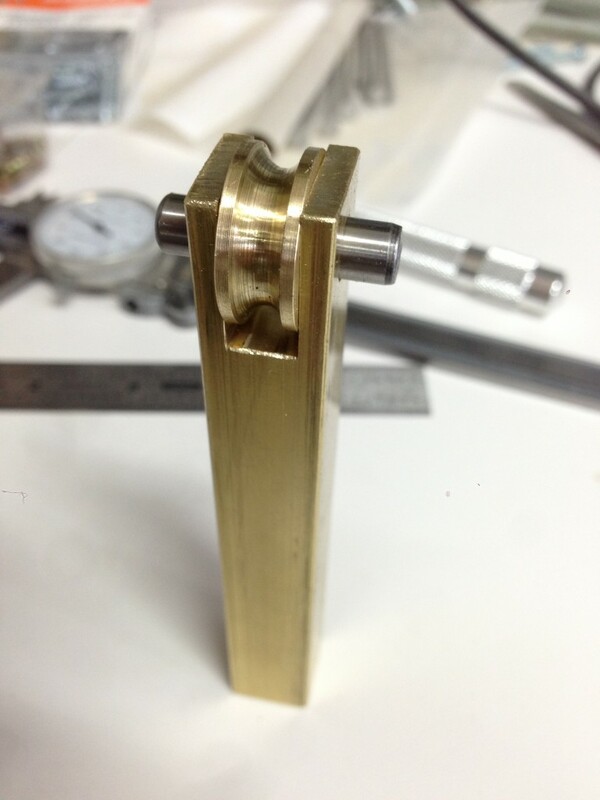 The entry 'DIY tube-bending tool' was posted on January 19th, 2013 at 10:53 pm	and last modified on January 19th, 2013 at 10:53 pm, and is filed under CNC milling machine. You can follow any responses to this entry through the RSS 2.0 feed. Both comments and pings are currently closed. You do great work Joel. Thanks for connecting. Hope all is well with you, Jen and kid(s)? I think if you fill the tube with water and freeze it before bending you should be able to prevent tube collapse. Pretty sure that’s what they did on one of the “How It’s Made” episodes, either trombones or trumpets. 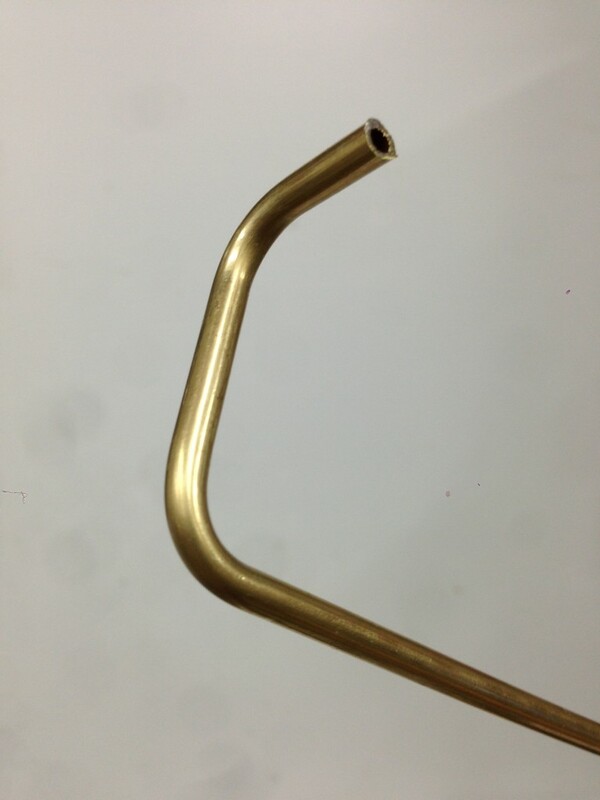 It was one of those thin walled brass instruments. 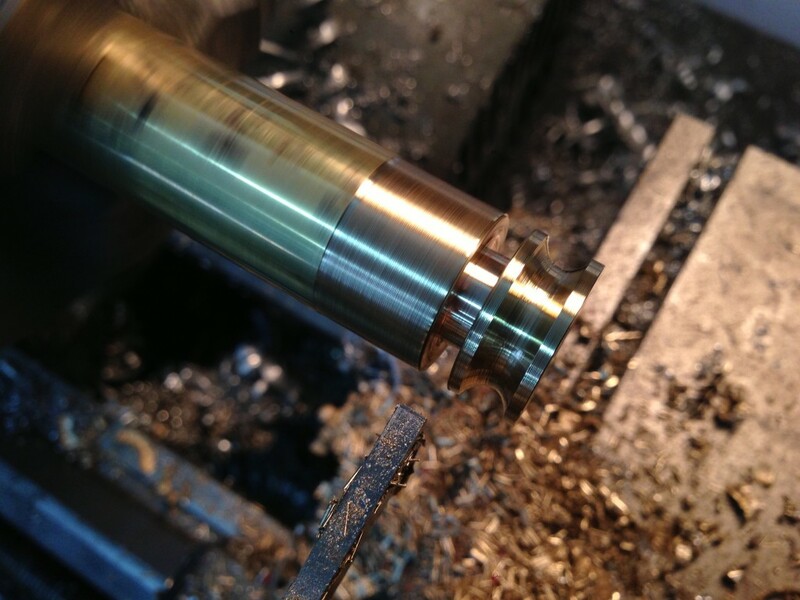 Thank you for posting your work on the G0704 mill CNCing. I have had your site bookmarked for over a year now and look forward to the new updates. ~ Cheers! Nice build for a pretty standard small ID tubing bender. The trick to reduce collapse is to make the rollers a tighter fit to the tube: should be a slight interference fit. If you want to get really silly, you could make the movable roller as a female profile to the fixed roller to enshroud the tubing. sure, this version is improvised, but if you only have to bent 1 or 2 tubes, it works great. 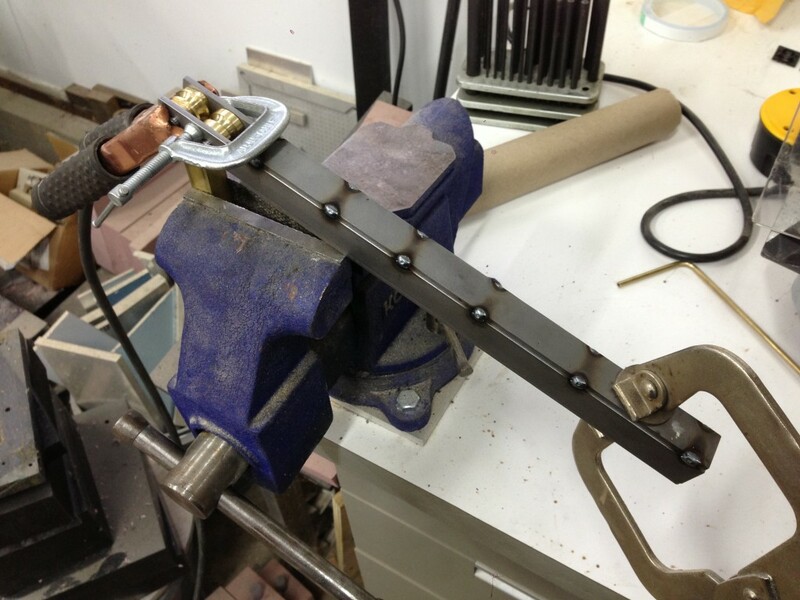 Brass soldering can be difficult because the addition of solder can drastically reduce the melting temp where your joints are. 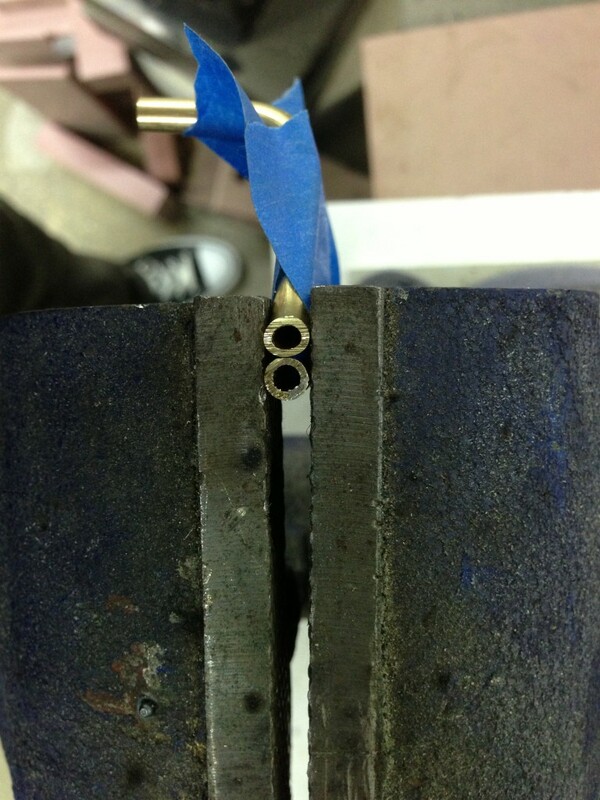 Silver solder with it’s copper, tin and zinc added to your coper and zinc (brass) makes a very low temp alloy. It become easy to melt it all down. 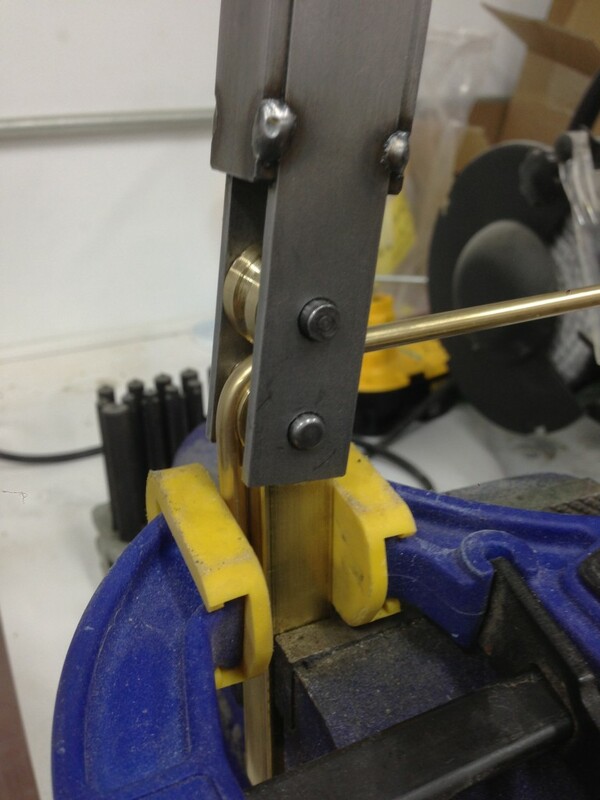 for god sake use a circular cutter on the brass tube… not a damned hack saw….. Awesome post! You can keep the brass from collapsing by either filling with sand prior to the bend… Or by filling them with soapy water and then freezing the tubes before you bend them! (Then let the tubes thaw out! )This is what trumpet makers do! 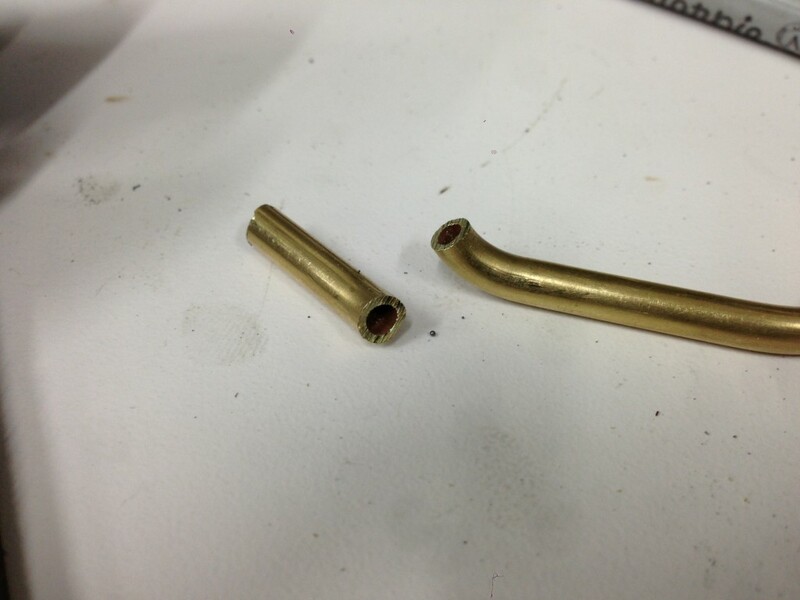 Try filling the tubing with common sand before bending. Once the tube is bent, the sand will be easy to remove. True, it’s a little ragged (I used a band saw). But a tubing cutter might have squished the profile, and wouldn’t have worked at all for cutting through the elbow. I think ice will not work better as being solid. Why not fill with sand / silica as it has a good fflexibility and is an old practice in bendig pipes at small levels. I feel like craftsmen used to make more tools than they’d buy, maybe just because it was harder to find them or because of the expense. In any case I’ve seen lots of examples of custom jigs and special purpose tools that obviously were built with pride to last a lifetime – even if used just once! It’s nice to still see examples of this. Good job on the bender. Thanks! I know there are good arguments for buying off-the-shelf tools like this, and I can’t claim that my homemade bender is a lot cheaper than a decent store-bought one once you factor in my time. 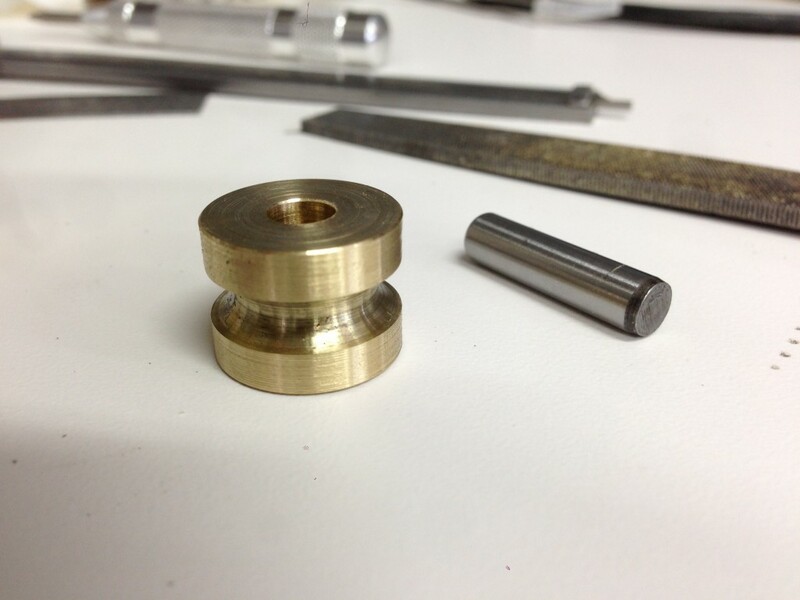 But I learned a little, and got to get my hands oily on the lathe and make some sparks with the welder. Definitely a Saturday afternoon well spent! I asked my uncle what he used to bend pipe(brake line pipes)hes a mechanic,he laughed and led me to the side of the shop and proceeded to bend the pipe with his fingers he said the trick is to make minute amount of bends at a time, just a little at a time he worked the metal tubes like a sculpture.Hes been a mechanic for 40 years. That’s cool! Just a heads up, I once saw a Youtube video about a brass musical instrument factory. I remember them filling up the brass tubes with water and putting them in a freezer for a few hours before bending them into trumpets. When filled with ice, they would bend very thin brass tubes with zero collapse!